If you’re nearsighted, farsighted, or have astigmatism, you may be a candidate for LASIK refractive surgery. At Rothchild Eye Institute, which serves patients in Boca Raton, Delray Beach, and Boynton Beach, Florida, Eric J. Rothchild, MD, specializes in corneal correction. 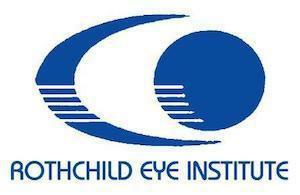 Dr. Rothchild and his team have extensive experience in this revolutionary approach to correcting vision. For a LASIK consultation, call the office or schedule an appointment online today. Laser assisted in-situ keratomileusis, or LASIK, is an eye surgery used to correct common eye problems like farsightedness (hyperopia), nearsightedness (myopia), and astigmatism. These eye conditions are caused by deformities in the shape of the cornea of your eye, which causes light to move, or refract, in such a way that an image isn’t seen clearly. Refractive surgery, such as LASIK, is used to correct the misshapen cornea and clear your vision for the long term. LASIK is the most common type of refractive eye surgery performed in the United States, and is effective due to the use of the highly accurate and precise laser technology. Dr. Rothchild was not only on the front lines during the development and testing of this advanced technology, but has also been part of extensive research and the development of instruments and processes to improve the LASIK process. LASIK uses specialized instruments, many designed by Dr. Rothchild himself, to lift a thin flap of your cornea. This allows Dr. Rothchild and his team to precisely reshape your cornea using the excimer laser. This specialized laser allows for precise manipulation of the corneal tissue, creating whatever specific changes are needed to correct your vision. The corneal flap is then replaced and usually heals without a need for stitches. Before your LASIK surgery, your ophthalmologist takes time to explain the procedure and determine what changes need to be made to your eyes to correct your vision. Your ophthalmologist sees you within a couple to days for a follow-up appointment to ensure your healing is progressing and that you’re not showing any signs of complications. You’ll see complete results of LASIK within a few months after your eyes have time to heal. In many cases, glasses or contact lenses are no longer needed after having LASIK surgery. If you’d like to discuss if LASIK is right for you, call Rothchild Eye Institute or schedule an appointment online today.